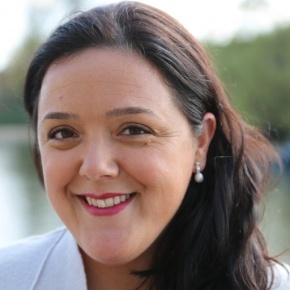 Cristina is the Founder & CEO of IMT Innovation, a digital health innovation platform training the next generation of digital health entrepreneurs through the IMT Academy, and fostering innovation amongst healthcare organisations through the IMT Innovation Lab. Cristina is a Faculty Member at Barts X Medicine, the first digital health course for medical students in the UK. Cristina is also a Board Member of Medical Realties, a company democratising surgical training using Virtual Reality. Cristina holds a PhD in Genetics, and is a counsel member of the Royal Society of Medicine. She was recently named one of the 100 most-influential global leaders in healthtech. Cristina has been involved in a government-backed innovation centre to make the UK the world-leader in precision medicine, and in the setup of a smart home device serving as a personalised healthcare assistant. Cristina also worked on building an online platform that provides patients access to innovative treatments through clinical trials, and used to run clinical trials for big pharma.